Notice：Please test the functionality of this item before installation! This LCD Screen and Digitizer Assembly is compatible with Sony Xperia X Compact only, Please do not confuse it with other version. 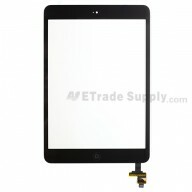 This Sony Xperia X Compact LCD Screen and Digitizer Assembly is brand new and 100% original. And each product goes through strict inspection before shipping out. The flex cable of this Sony Xperia X Compact LCD Screen and Digitizer Assembly is very fragile and easily damaged. Handle carefully! Special repair tools are required if you are going to install this Sony Xperia X Compact LCD Screen and Digitizer Assembly by yourself.